Personal Note: You may know that I am the SEO Manager for Groupon, a competitor/co-opetioner with some of the sites mentioned here. I found this example reading group buying industry news, not in an effort to spread stories about other sites in Groupon’s space. 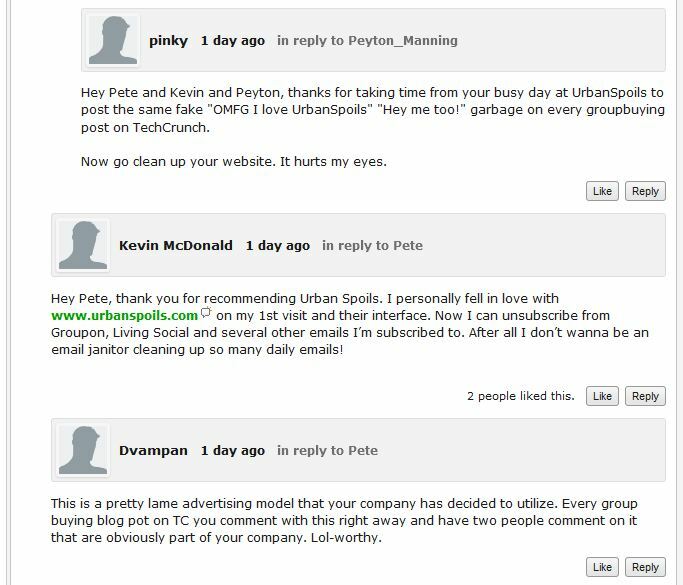 I would have felt compelled to post this perfect example of good and bad commenting even if it had been a story completely unrelated to my employer’s industry simply because it is related to the SEO industry. Comment spam is one of the lowest forms of “link building.” Yet people continue to do it because it’s easy, because they think it works and because they don’t understand that many comment sections aren’t crawlable even if the links are followed. 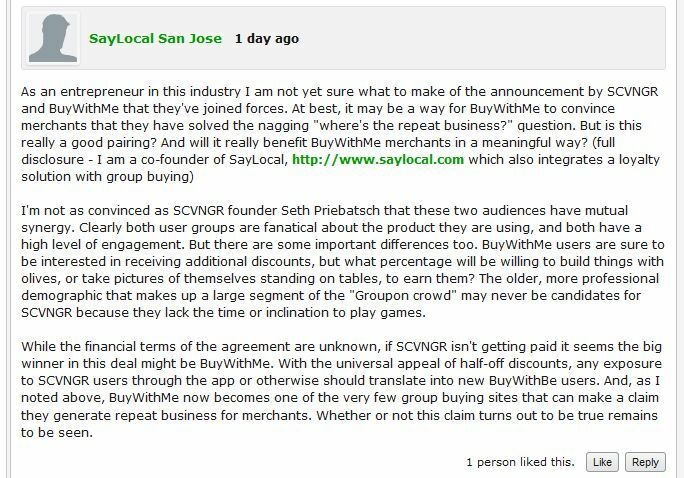 But sometimes comment spammers get outed, like in the comments on this TechCrunch post about the partnership between BuyWithMe and SCVNGR. I grabbed a couple of screen shots in case the thread is deleted to illustrate this example (click them to enlarge). If the intent was to gain click-through traffic from other readers, it’s possible that some clicks were achieved before the outing. 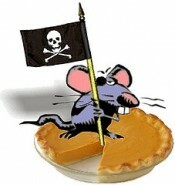 Afterwards, I would doubt that many clicked, at least not with the intent to transact. But only the log files know for sure. Still, I call this a #fail. And lastly, even any positive brand recognition that positive comment mentions would have generated have very likely been more than negated by the tongue lashing from other commenters. So #fail. Not all commenting is spam, of course. When you legitimately have something of value to add to a conversation and when you disclose your identity if you have a self-interest, then comment away. On the very same post, the co-founder of SayLocal comments, disclosing his identity and self-interest. You’ll note that no one flames his comment. It may be just as self-interested, but he has given us the ability to judge his comment honestly. Have you seen http : // buytaert . net / ten-ugly-comment-spam-techniques? Some of these techniques are quite remarkable.